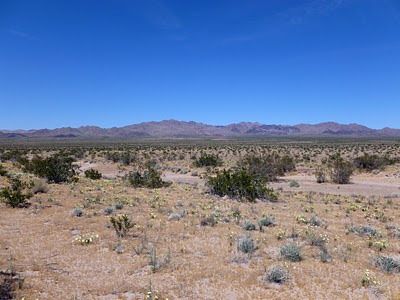 The Bureau of Land Management (BLM) is working on the final environmental impact statements for two more solar projects in the Mojave's Ivanpah Valley, which straddles the California and Nevada border, and the documents are expected to be released this summer. BrightSource Energy's destructive Ivanpah Solar project is nearing completion there, but First Solar's proposed Stateline and Silver State South solar projects would destroy another eight square miles of intact desert ecosystem, with the most appalling destruction to occur at the 4.8 square mile Silver State South solar site. I was reading about NRG Energy, whose CEO has spoken enthusiastically about the potential of distributed generation, and came across a fairly impressive array of solar on rooftops and over parking lots that the company has installed. Although I disagree with the company's investment in the Ivanpah Solar Electric Generating System, the distributed generation project at Arizona State University is proof of the clean energy we can generate in our cities. 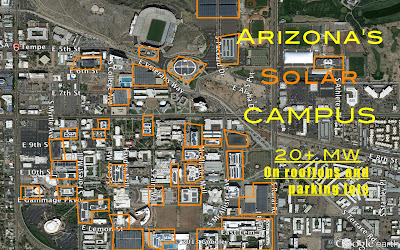 ASU's facilities boast over 20 megawatts of solar panels, and they plan to expand to 25 megawatts. You can even monitor real time generation statistics at the campus' website. President Obama announced today his administration's Climate Action Plan, which includes a long overdue directive to the Environmental Protection Agency (EPA) to complete carbon pollution standards for new and existing power plants, calls for improving vehicle fuel economy standards, and raising the bar for energy efficiency in our homes and businesses. All of these are urgent and smart ways to fix our destructive energy paradigm. In a surprisingly positive shift, the President also signaled that he may not approve the Keystone oil pipeline if it results in a net increase of greenhouse gas emissions. K Road Solar this week decided to withdraw its application to bulldoze nearly six square miles of desert in the central Mojave Desert. The company's Calico Solar project has haunted this important swath of desert habitat since 2007 when the project's previous owner first filed plans with the Bureau of Land Management. The Calico Solar project was among the first in a wave of applications that have begun to fragment and industrialize otherwise intact habitat in the Mojave and Sonoran deserts. Citizen conservationists and national environmental groups - including the Sierra Club, Defenders of Wildlife, and Natural Resources Defense Council - opposed the Calico project during environmental review and in court, but the BLM and California Energy Commission still seemed intent on permitting the project. 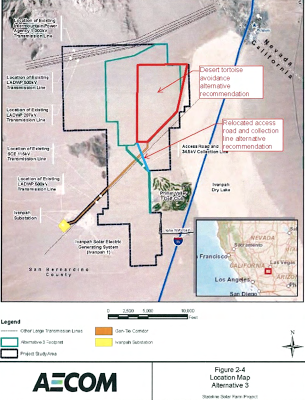 The Bureau of Land Management this week released the draft general conformity determination for Cal Nev Pipeline company's proposed 16 inch diameter oil pipeline that will run from Colton, California through the Mojave Desert and terminate in Las Vegas, Nevada. The determination assesses the pipeline's "direct and indirect" impacts on air quality standards during construction and operation, but ironically does not evaluate emissions from the actual use of the oil the pipeline will carry. The new pipeline would run mostly parallel to existing lines and expand the system's carrying capacity by nearly 44,000 barrels per day, bringing the total oil transmission in the Cal Nev Pipeline system to 200,000 barrels per day. The company says that the new capacity is needed to fuel Las Vegas' tourism industry and McCarran International Airport. You'll notice that I have a new "Take Action to Protect Bobcats" page listed on the tabs underneath the banner photo of this blog. 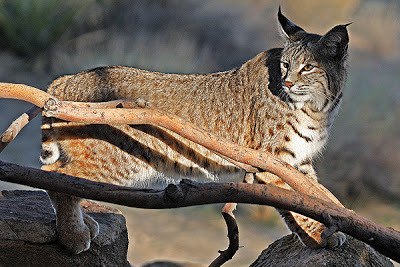 Residents in Joshua Tree recently became aware that bobcats were being trapped and killed across much of California's deserts for their furs, which are then sold to markets in Russia and China. The same market forces that lead to ruthless poaching for ivory in other countries is now impacting our deserts by removing a key predator from the ecosystem. However, in California it is legal to kill as many bobcats as you would like. This is an outdated policy that could have serious ecological repercussions. The Desert National Wildlife Refuge complex is hosting a photo contest, and you can vote for your favorite photo at the contest website. Check out the photos and show your support! David Roberts at Grist has a rather thought-provoking article on how utility companies can be transformed to take advantage of new, cleaner technologies. Mr. Roberts asserts that distributed generation will not mean the downfall of the grid, but that distributed generation and energy efficiency beg for a new model, one where the utility companies may facilitate an energy marketplace, but do not control the source of energy. I would recommend reading this in conjunction with an article by High Country News titled "Haywired." Although a subscription is required for the article, the gist of it is that the transmission system in this country is built around an old paradigm that cannot take advantage of the flexibility offered by clean energy, including rooftop solar. 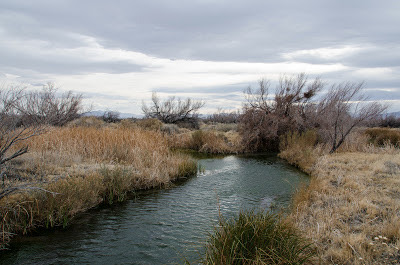 The Nevada legislature passed SB 123, which will ultimately shut down the Reid Gardner coal plant and provide relief for the Moapa Band of Paiutes living next to the facility. The bill also likely locks Nevada into natural gas investments, however. Although amended since the last time I reviewed the text, the bill that passed the legislature yesterday still requires 550 MW of energy from "other electrical generating plants," in addition to the 350 MW of new renewable energy generation required by the bill. That 550 MW is likely to be generated by new natural gas facilities, and previous iterations of the bill made it clear that the "other electrical" generation would be natural gas.